These three characteristics are OK but they just use 1% of the Rule Engine Power. Let’s see what we can do if we take advantage of the fact that we have a Rule Engine for free when we use jBPM5. This section shows some integration patterns that we can implement using more features of the Rule Engine. In no way these patterns are the only ones that can be implemented but I’m just showing a random set of them for inspiring you to create new ones based on your needs. This patterns will serve as the basis for more advanced patterns that I will be sharing in future post which are also detailed inside the jBPM5 Developer Guide. In jBPM5 we can use the DRL language to define the conditions that needs to be evaluated inside a gateway. When we see this for the first time it looks like the old “Decision Points Pattern” introduced in the previous section, but it’s not. Once we master the integration between processes and rules we can start including events (CEP – Drools Fusion) into the picture. 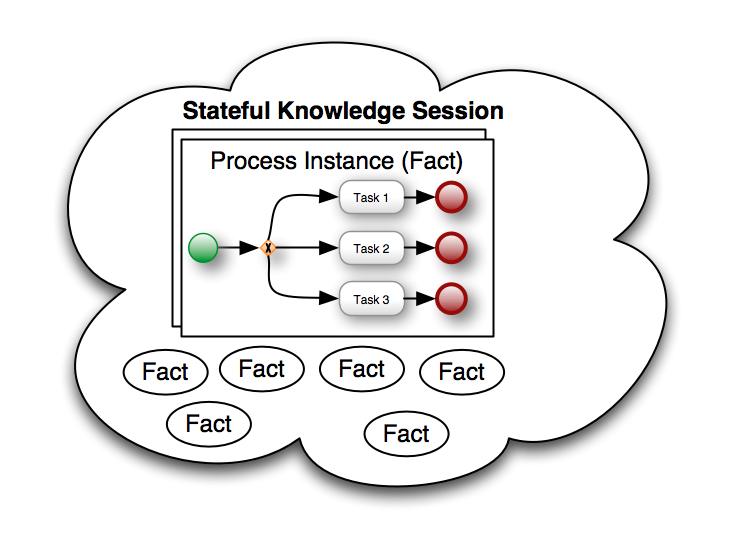 I’ve wrote this blog almost two years ago, but what I was trying to explain is that you can make decisions inside your process instance based on contextual information stored in the session and not just process information. This is usually helpful when you have complex scenarios and you want to enrich the decision making process by adding more information which usually lives outside of the process. Could you tell me the difference between contextual information and process information. By process information, I think you mean the variables which has been defined in the process? What is the contextual information? As you mention the most obvious piece of process information are the process variables. But you might be also interested in having the Users and groups interacting with the tasks, metadata about the services that the process is using, etc. Contextual information is everything else that you want to have around to correlate and aggregate information that can influence the course of your business processes. So you can decide to have Stock Market information in there, the amount of people visiting a specific store/facility, etc. 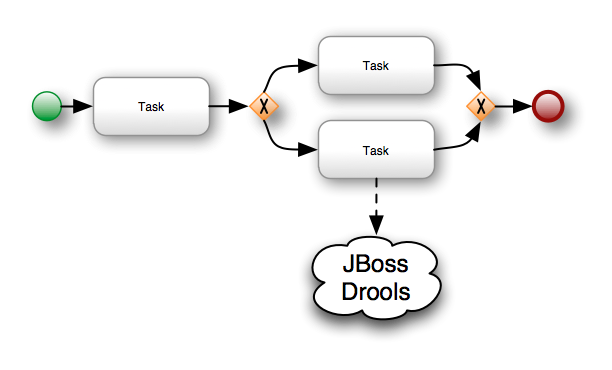 Usually from the BPM world never provided us these kind of capabilities built in with the engines, that’s why Drools & jBPM are so awesome! 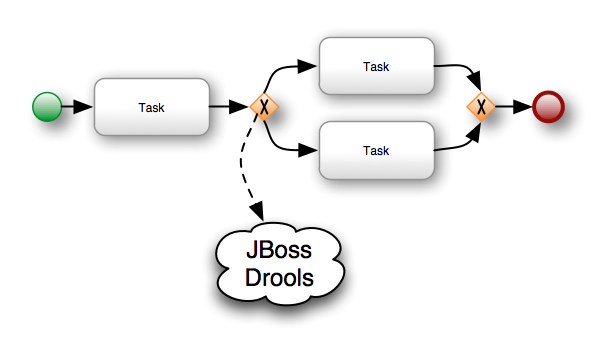 Next Next post: BPMN2 Process Designers, Why, When & How?